An exhibition of art and poetry at Birdoswald Roman Fort, Cumbria. Noel Connor lived and worked in the area around Birdoswald Fort on the Roman Wall in the winter of 1979/80. As he says in his poem, Torchlight, he and his wife ‘retreated North … two city kids astonished by the dark….’ It was an intense period in his work as he explored ways of responding to the conflict in his native Northern Ireland. In such close proximity to ‘another long contested border ….’ (from the poem Birdoswald Boy), his ideas found direction and focus through poetry. Many of the drawings, responding to the work of his favourite writers, were produced or published around this time. The book Gravities, with its series of images to poems by Seamus Heaney was Connor’s direct homage to his fellow countryman. Sadly, this exhibition provides the first opportunity to present the work, since the poet’s untimely death last year. During this period, he also initiated Wall, a collaboration between four artists and four poets. The resulting book and artwork was published and exhibited at the LYC Gallery, just a few miles along the Roman Wall from Birdoswald. A selection of images and poems from the book also feature in this exhibition. Connor continues to derive work from his frequent visits to the area, the ‘debatable lands’ north of Hadrian’s Wall, but it is now more inclined towards celebration than to conflict. 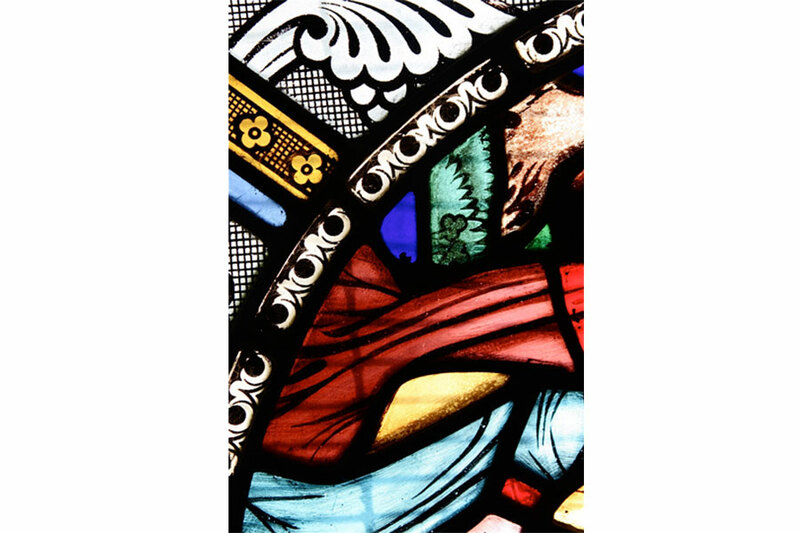 His new photographic series Holystone, plays on the notion that light and colour can permeate stone, and will always return to breach and brighten the darker walls of history. 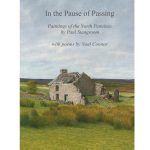 The exhibition includes a number of poems and images from In the Pause of Passing his recent collaboration with his friend, the artist Paul Stangroom. Connor has also placed especially written poetic interventions within the fort’s permanent collection of antiquities and artefacts. He offers a very personal response to objects discovered in and around Birdoswald such as a child’s gravestone, gold rings, dice, spoons and even roof tiles. In the catalogue for the LYC exhibition, he quoted W.H.Auden’s line ‘for poetry makes nothing happen….’, but declared that for him, poetry makes everything happen. 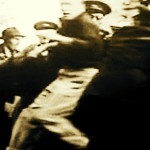 His Return to Birdoswald thirty-three years later is a re-affirmation of that belief.